The trial court then made findings regarding the father’s abdication of residential time. The court found the mother lacked adequate income to meet the children’s needs absent a deviation. 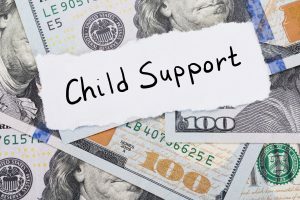 The court increased the child support to more than $400 above the standard calculation and ordered the increase be retroactive to the date after the mother filed her petition to modify the child support. The father appealed. He argued the court erred in increasing the child support above the standard calculation because he had not abdicated his residential time. He referenced a dictionary definition of “abdication” which stated it meant “failure to fulfill a responsibility or duty.” He argued the parties had agreed that visitation with him was not in the children’s best interest so he had not failed to fulfill a responsibility. The appeals court found it did not matter if the parties agreed he should not have visitation. The change added to the mother’s expenses while decreasing the father’s expenses. The appeals court therefore found no error in the deviation. The father also challenged the retroactive application of the increase. He argued it was inequitable due to the trial court’s error in originally finding it could not deviate from the standard calculation. The appeals court noted the father had contributed to that error by arguing the court could not deviate above the standard calculation. The appeals court then found the equities supported the retroactive date. The father had stopped visitation in late 2010. The mother’s expenses had been increased and the father’s expenses had been decreased since that time. Even with the retroactivity, the mother was not fully compensated for more than two years after the father stopped his visitation. The appeals court therefore affirmed the trial court’s modification of the child support order. This decision suggests that it does not matter if a parent chooses to stop visitation unilaterally or if the parents agree to stop visitation. If one parent voluntarily stops visitation and it increases the other parent’s expenses, the court may deviate from the standard calculation to account for that change. If you are facing a custody issue, you need the assistance of a skilled Washington family law attorney. The attorneys at Blair & Kim, PLLC, work with our clients to help them through the process and achieve the best possible result. Call us at (206) 622-6562 to schedule a consultation.